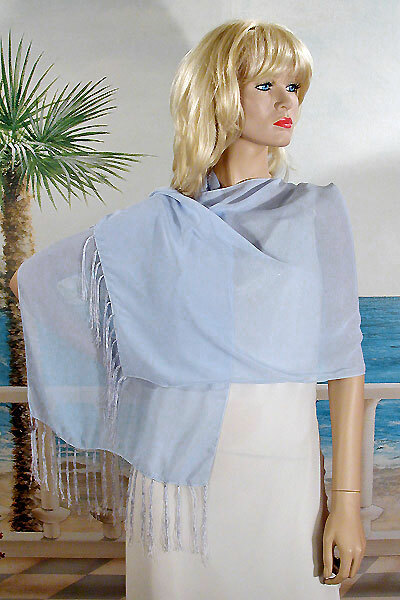 Fringed Scarf or Light Shawl Oblong Shawl Chiffon polyester scarf with fringed edge. A sheer lightweight shawl or scarf. It looks great with an evening dress but also works well around the neck or as a headscarf. it is oblong in shape and comes in many colors. A great shawl for either day or evening wear. Color: pale blue Hue: Code: #D6ECF2.